The Downtown Kaukauna Farmer’s Market has the best Farmers and Vendors of any Market in all of Northeast Wisconsin! 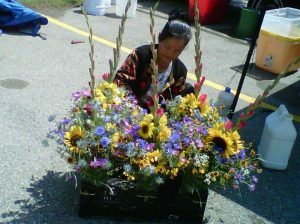 One family has been selling fresh produce and flowers at the Market since 2002. Four others have been with us since 2003, and five others yet, since 2004. Loyalty is something these Farmers know a lot about.